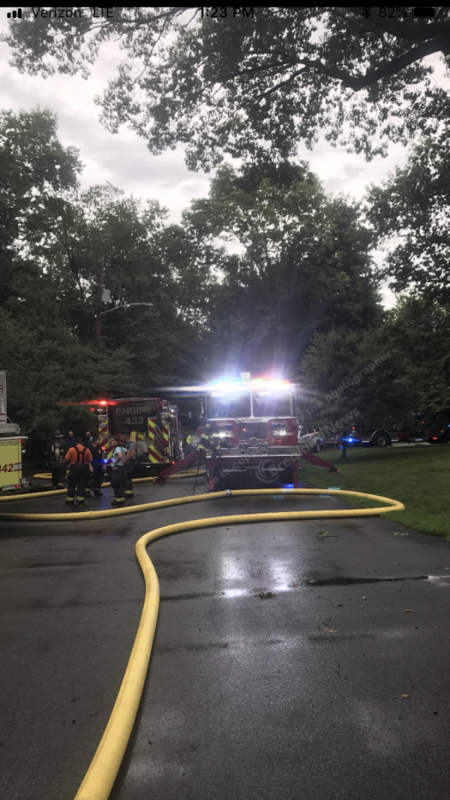 On Friday, Tower Ladder 241 was dispatched to the borough of Ramsey for a 2nd alarm working structure fire on Davidson ave. The home was struck by lighting during eh rain storm. Upon arrival crews found fire in the floor support structure between the first floor and the basement craw space. 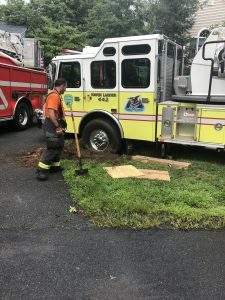 241 cut the floors with a k-12 and pulled the decking to get at the seat of the fire. 241 also assisted with overhaul.